Get two awesome neck knives today! 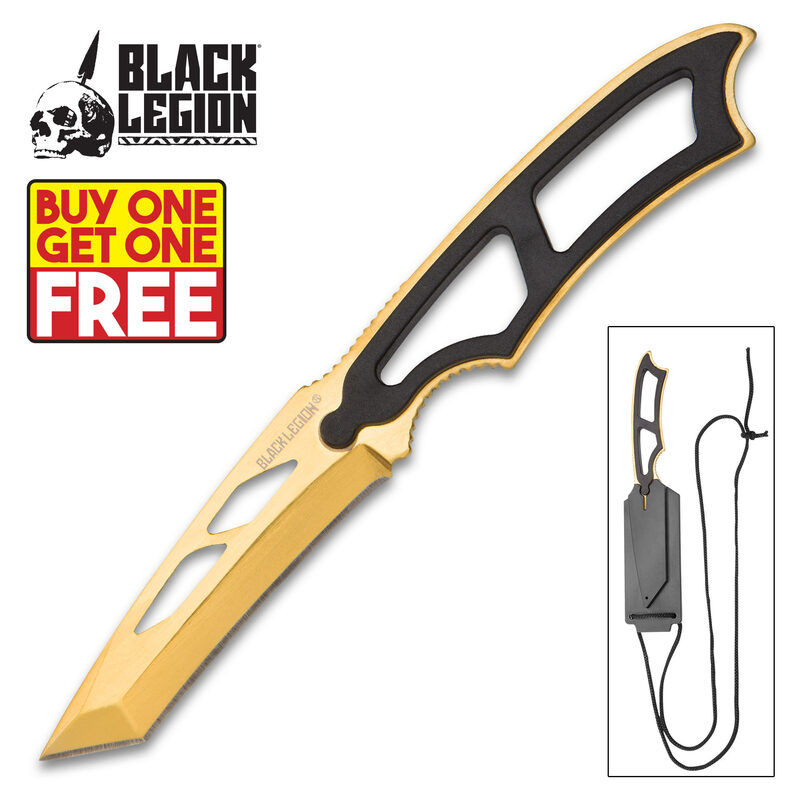 Walk confidently down the sidewalk or step fearlessly through the zombie apocalypse when you wear this Black Legion Gold Tactical Neck Knife. The razor-sharp gold blade features fantasy cut-out designs, and the handle has a black ABS insert. The blade fits snugly inside the coordinating neck sheath. Buy one for a friend and keep one for yourself with this awesome BOGO deal! With this one, you get what you pay for. The knives aren’t razor sharp and only one side is sharpened and formed. The other side has no edge or blade shape, just a flat piece of Steele. The sheaths quality is ok. It locks the blade in tight but needs a really strong tug to draw. The color is more dull than in the picture but It still looks fine. Grip and ergonomics are pretty good. These two knifes are certainly worth $5, just know you need to sharpen them. 3/5 because it did not come as advertised.